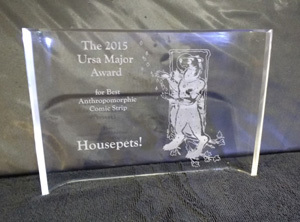 The winners of the fifteenth annual Ursa Major Awards (formally the Annual Anthropomorphic Literature & Arts Awards), for the Best in anthropomorphic/"funny animal" literature and art first published during the calendar year 2015, were announced at a presentation ceremony at What the Fur convention, Montreal, May 20, 2016. Eligibility in eleven categories is for works featuring intelligent &/or talking animals first published during the calendar year 2015. This can include new compilations of older works, such as a new collection of previously-published separate works. 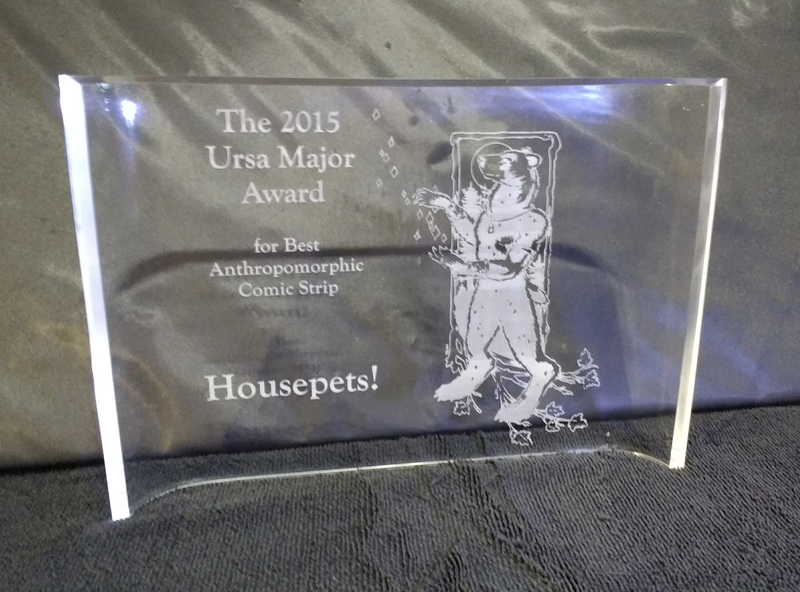 The winners are chosen by popular vote among those participating in Anthropomorphic Fandom who, first, submitted their nominations for the winners, and then voted upon a final ballot consisting of the five finalists (those receiving the most nominations) in each category. (Go here for full voting statistics.) The voting for the awards was open to all furry fandom via the internet; and took place between March 15 and April 15; and received votes from countries all around the world. 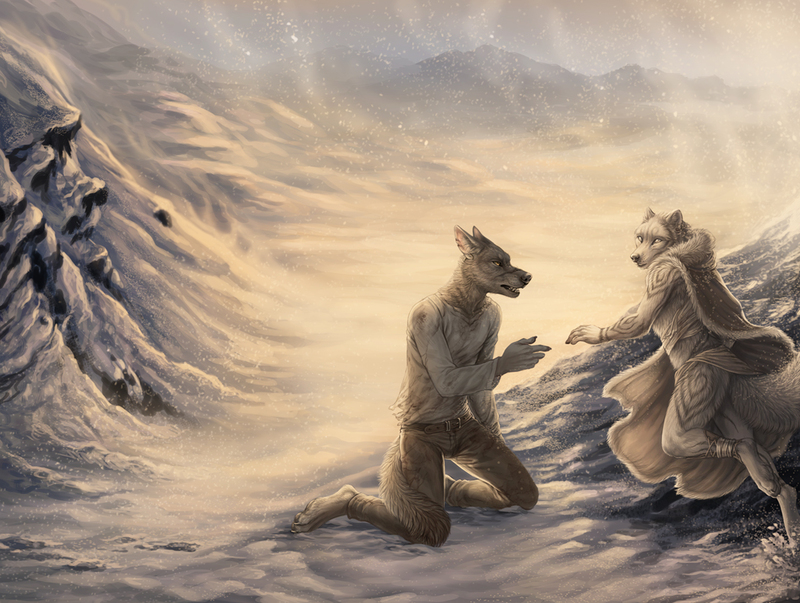 Rukis, cover of Lost on Dark Trails, by Rukis; January. Teagan Gavet, cover of ROAR Volume 6, edited by Mary E. Lowd; July. Antonio Torresan, cover of Tiger's Eye; November 5. The lucite awards were created by John Geyer and Wulfenbahr Arts in South Pasadena. Ursa art by Heather Bruton.